Between 2005 and 2010 the proportion of families with young children living in poverty declined from 23% to 20.3%. 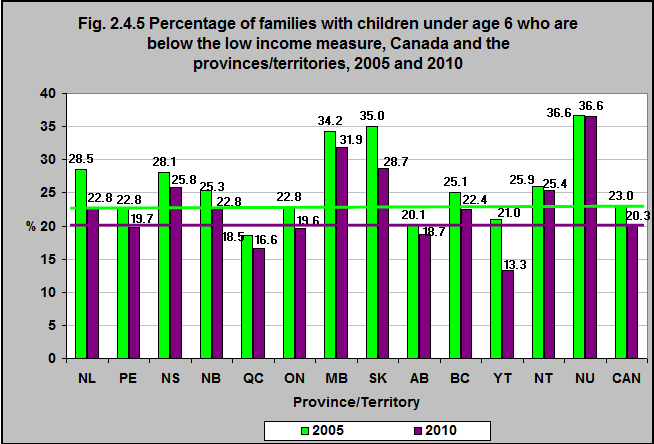 This proportion declined in all provinces/territories. 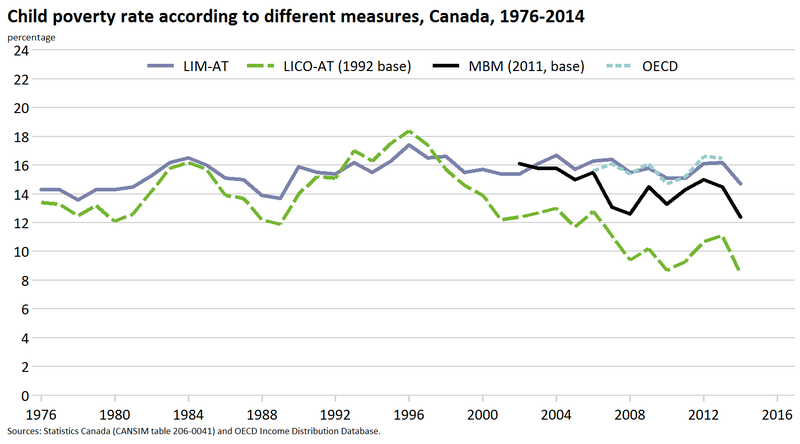 The largest declines were in the Yukon (37%); Newfoundland & Labrador, 20% and Saskatchewan, 18%. For the purposes of this module we are using the Low Income Measure (LIM)*.